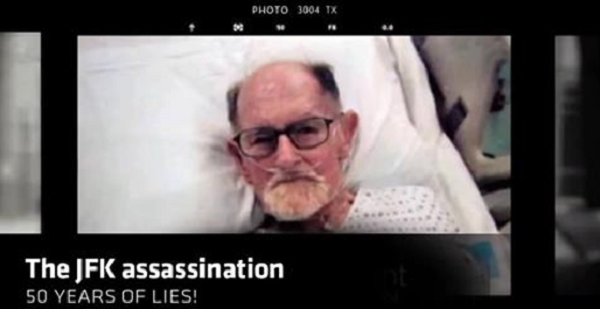 The "deathbed confession" audio tape in which previous CIA representative and Watergate conspirator E. Howard Hunt admits he was approached to be part of a CIA assassination team to kill JFK, an extraordinary development that has actually gone entirely overlooked by the mainstream media. Saint John Hunt, son of E. Howard Hunt, appeared on the nationally syndicated Coast to Coast Live radio series to talk about the confessions recorded on the tape. Hunt stated that his dad had actually sent the tape by mail to him alone in January 2004 and asked that it be released after his death. E. Howard Hunt names many people with both direct and indirect CIA connections as having actually played a role in the assassination of Kennedy, while explaining himself as a "bench warmer" in the plot. Saint John Hunt agreed that making use of this term suggests that Hunt was willing to play a larger function in the murder conspiracy had he been required. Asked if his father followed the conspiracy theories into the Kennedy assassination, Saint John said the older Hunt did follow the work of AJ Weberman, a New York City freelance author, who in the early 70's very first implicated Hunt of being one of three bums who were detained in Dealy Plaza. The so-called bums (envisioned above) were interrogated and later released by authorities quickly after the assassination. Weberman, among the creators of the Youth International Celebration, the Vippies, released photos of the tramps and discovered that 2 of them bore striking resemblances to Hunt and Frank Sturgis, also named by Hunt in the tape as having actually been contributed in the assassination conspiracy. Asked for his opinion as to whether his dad was undoubtedly among the Dealy Plaza tramps, Saint John, in a stunning revelation, stated one of the tramps undoubtedly looked similar to his dad in 1963 (see comparison above). CIA operative Frank Stugis' striking resemblance to one of the "tramps". Other researchers think the "Hunt tramp" to really be Chauncey Holt, who obviously later on admitted to the truth. Charles Harrelson was presumably identified as the 3rd tramp. Saint John Hunt said that quickly before his death, his dad had felt "deeply conflicted and deeply sorry" that he didn't blow the whistle on the plot at the time and avoid the assassination, but that everyone in the government disliked Kennedy and wanted him gone in one way or another. Kennedy's pledge to "ruin the CIA into a thousand pieces and scatter the residues to the wind" was being carried out and this irritated almost everyone at the company.